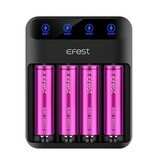 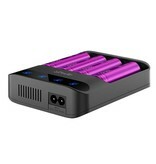 The Efest Lush Q4 Charger is an intelligent LED 4 slot battery charger. 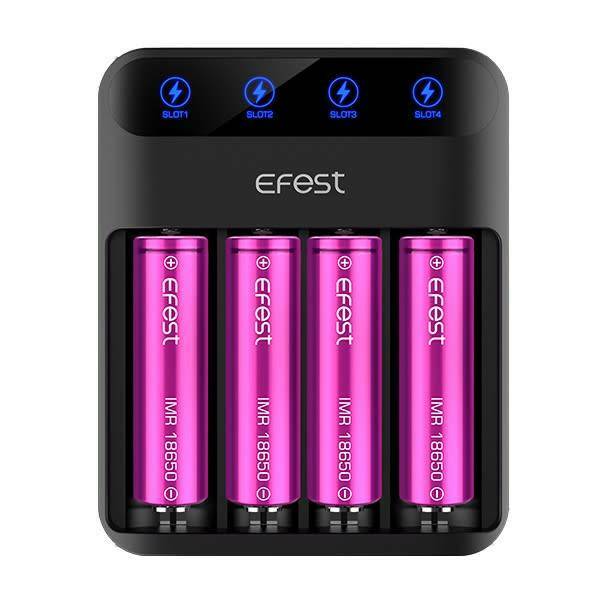 With independent battery slot monitors and three charging modes: 2.0A, 1.0A, 0.5A, it also includes following safety features - Over-Discharge, Over-Voltage, Short Circuit and Reverse Polarity Protection. Compatible with any 3.6V/3.7V lithium batteries. Batteries are easy to insert and remove and the Q4 charger features an Auto-Stop once batteries are fully charged. 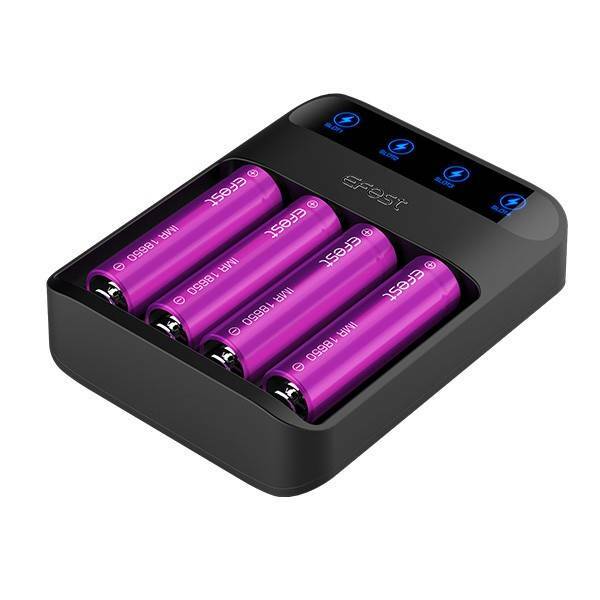 Please always follow the manufacturer's instructions for safe battery charging and use.